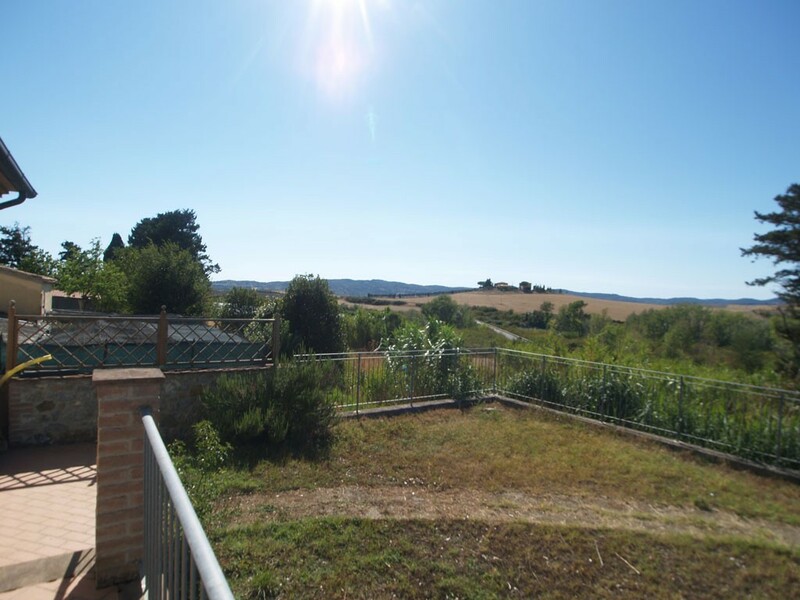 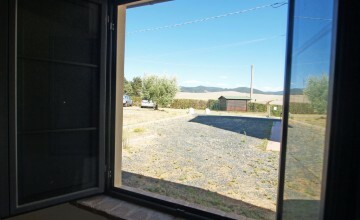 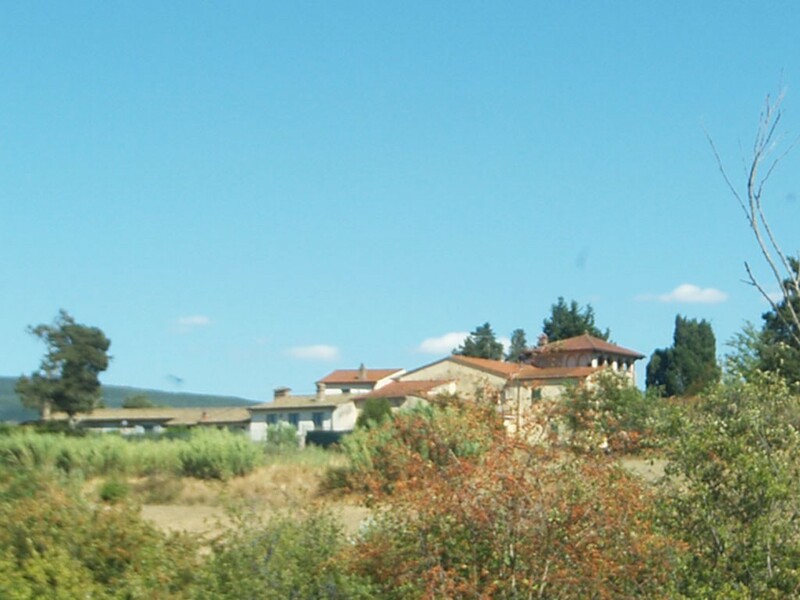 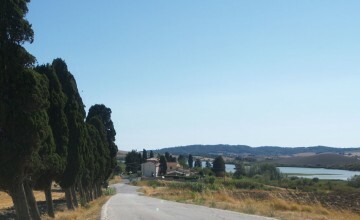 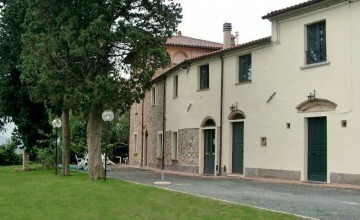 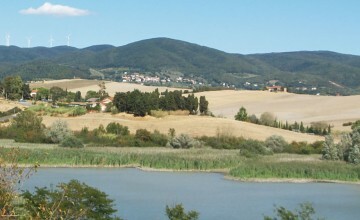 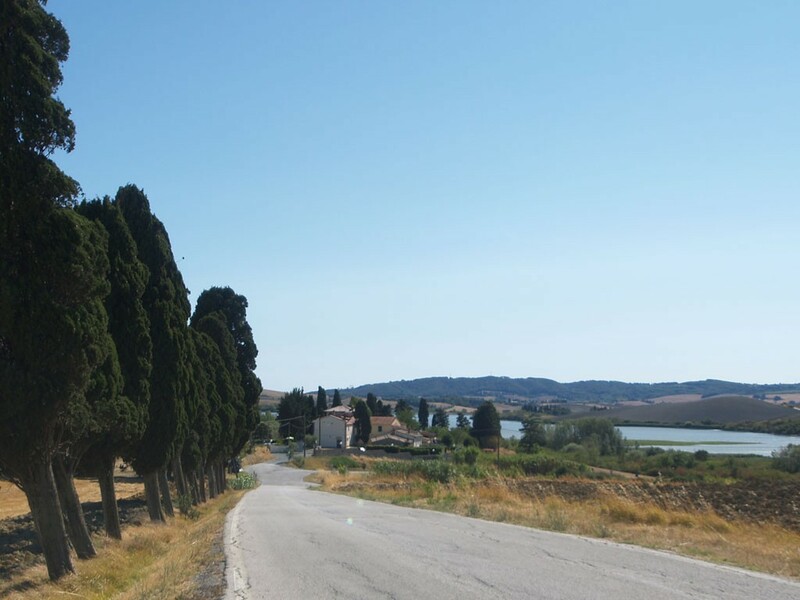 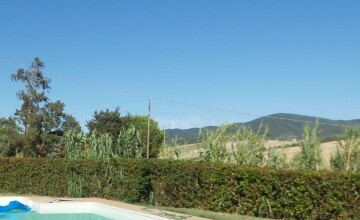 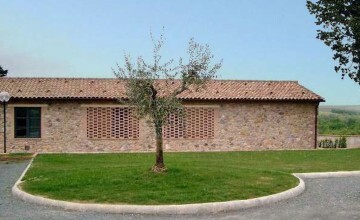 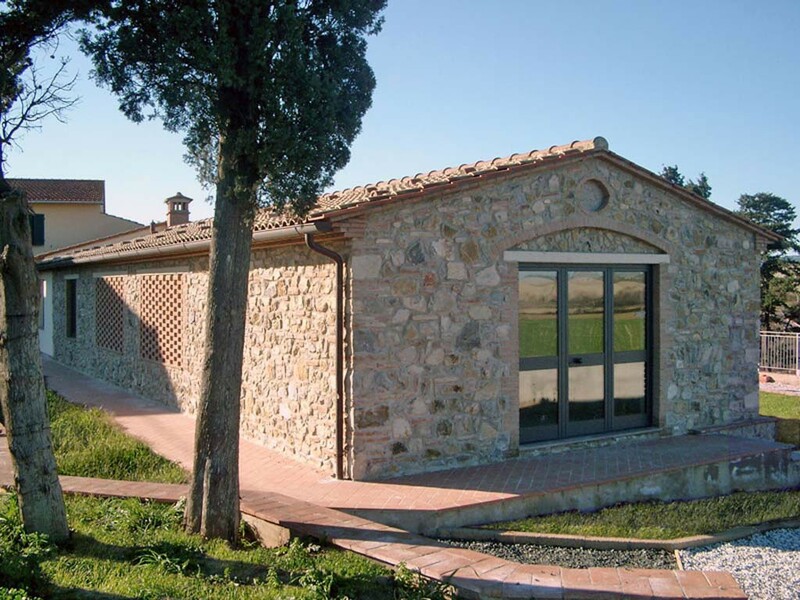 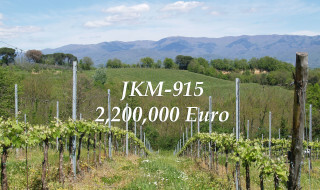 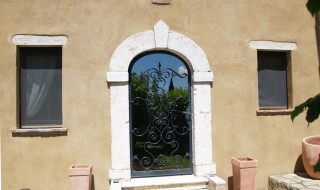 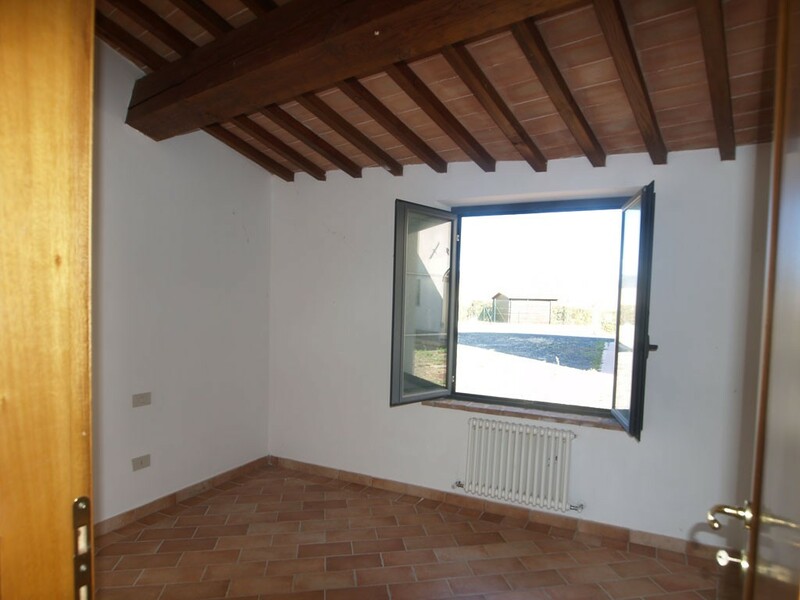 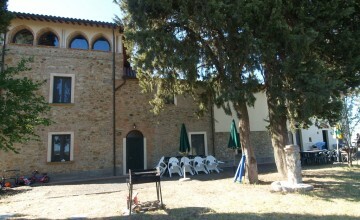 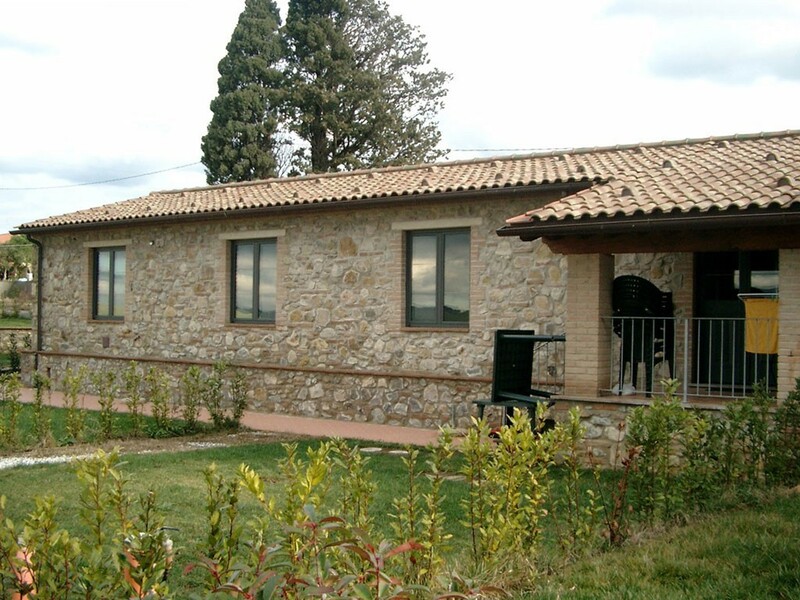 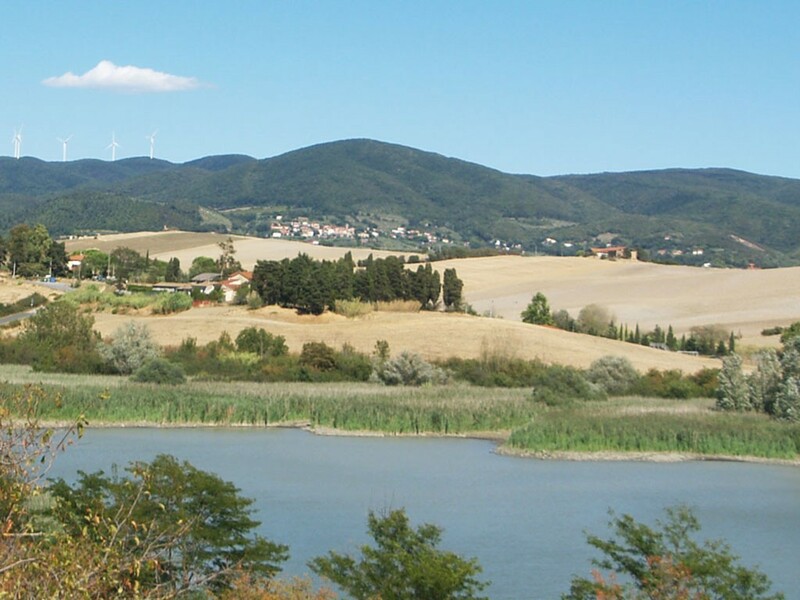 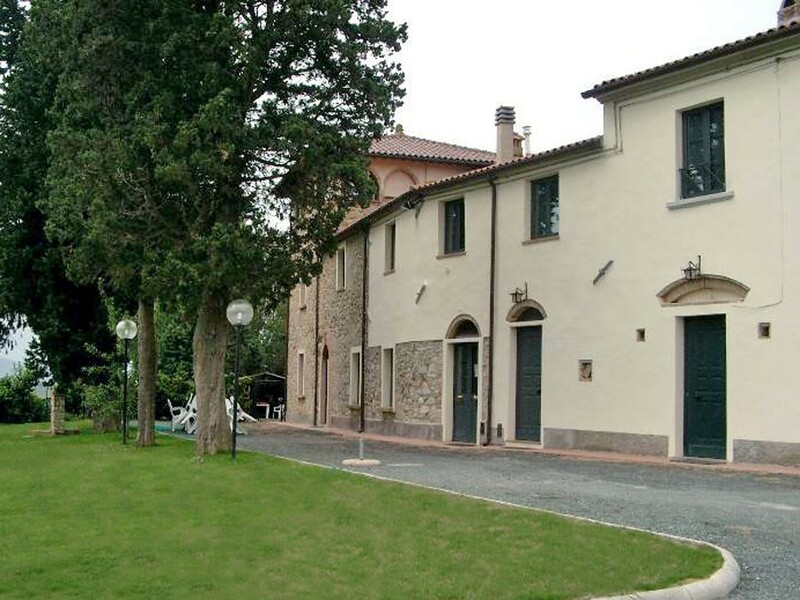 The property is located in the protected area of Santa Luce Lake, which is well visible. 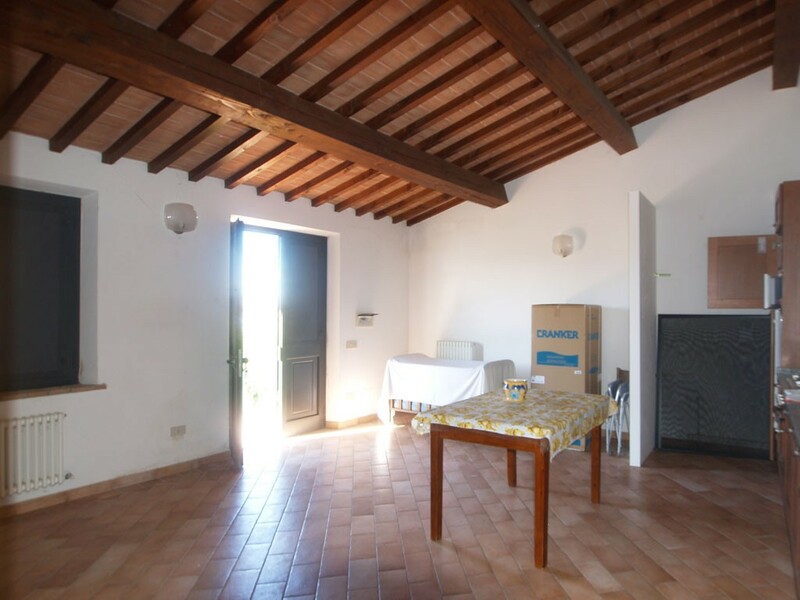 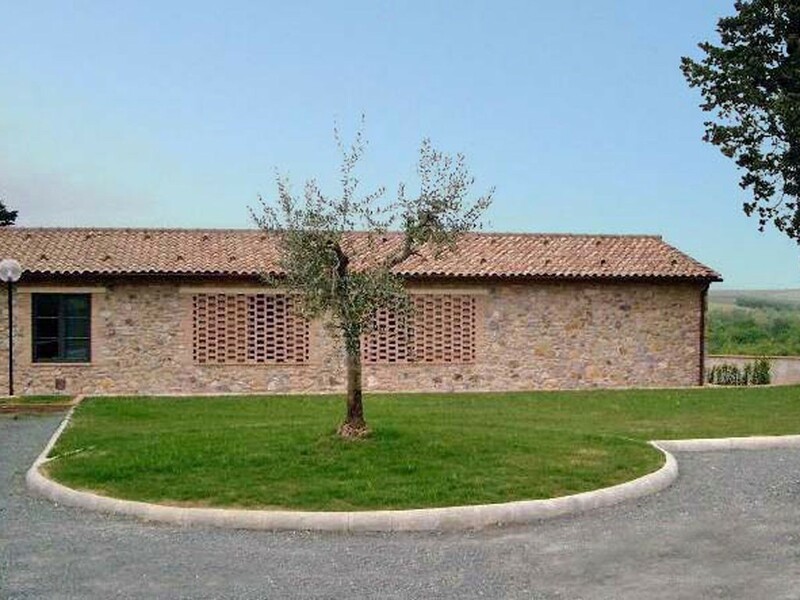 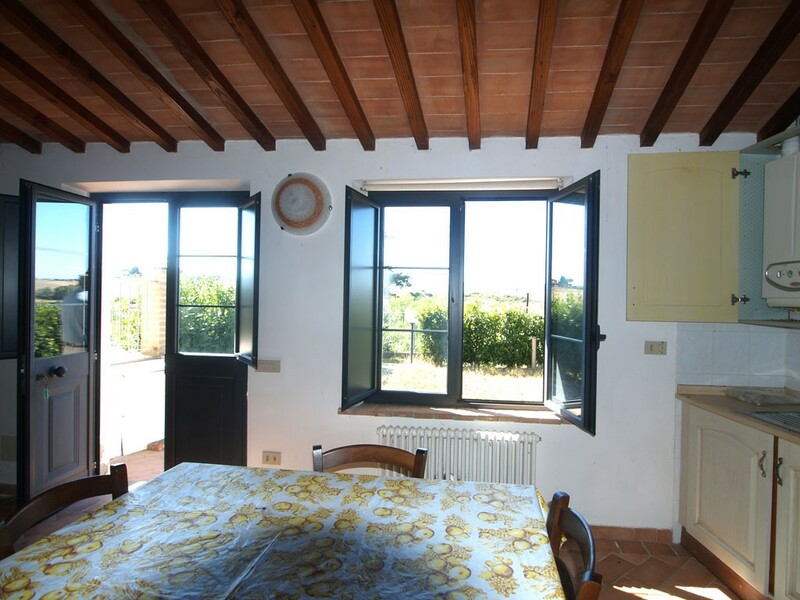 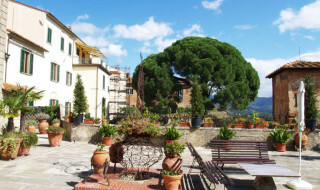 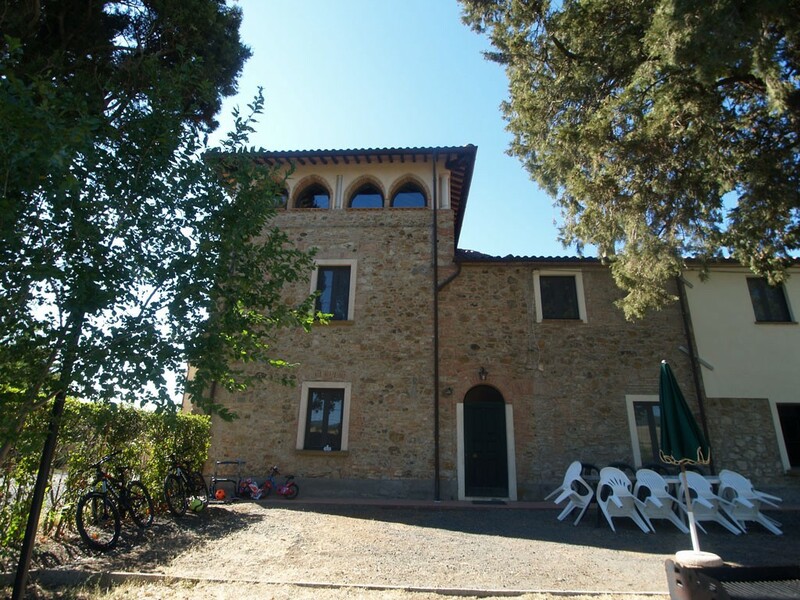 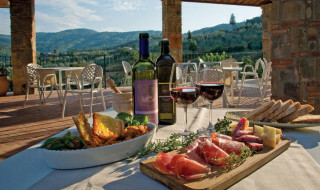 It consists of a large plot of land (almost 3000 sq.m – 32,291 ft2), old farmhouse perfectly restored and a new building constructed according to Tuscan tradition – walls in stone, beamed ceilings and terracotta floors. 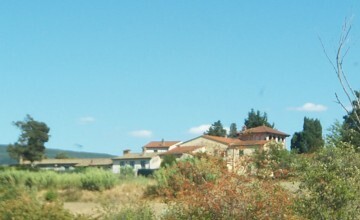 Both buildings are attached on one side to other properties. 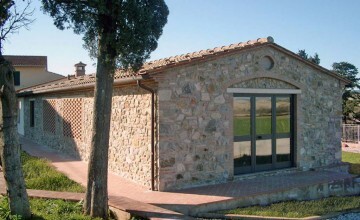 Apartment 1 – 75 sq.m. 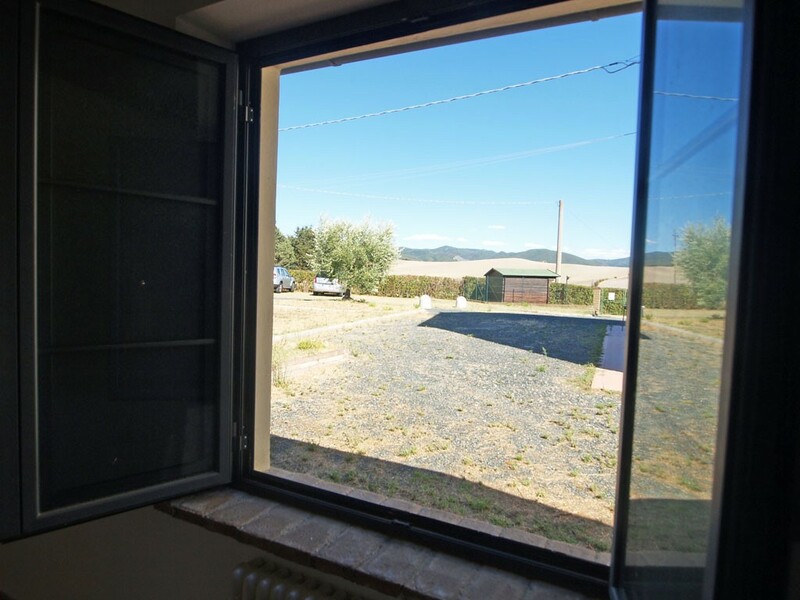 (807 ft2) on ground floor featuring sitting room with kitchenette, double bedroom, single bedroom and bathroom. 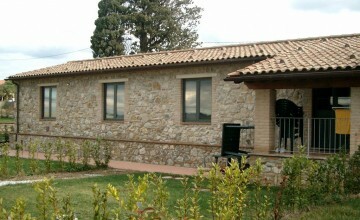 Apartment – 2 – 200 sq.m. 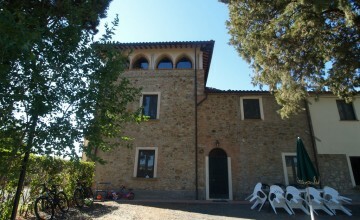 (2,152 ft2) the biggest of all, is set on three levels. 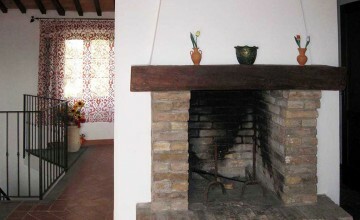 Ground floor has a sitting room with original fire place, dining room, eat-in-kitchen, bathroom and store. 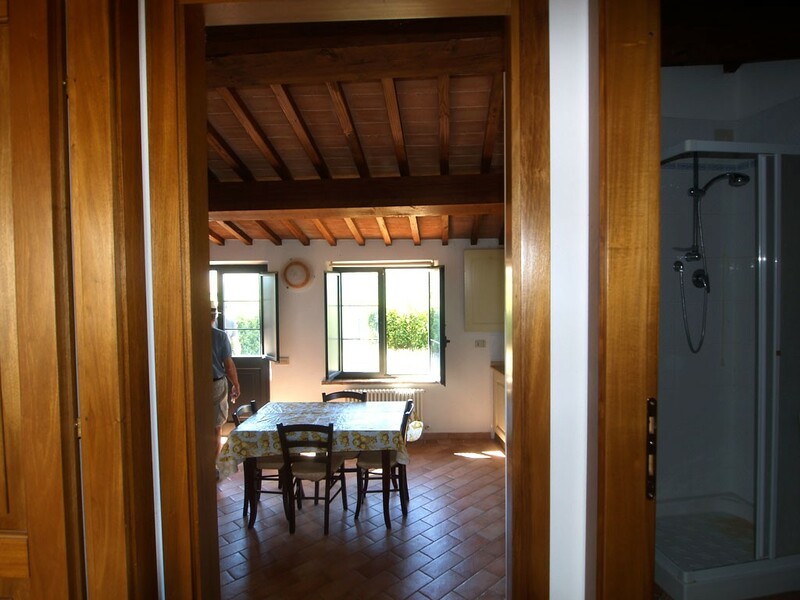 There are two double bedrooms, one single and a bathroom on the first floor. 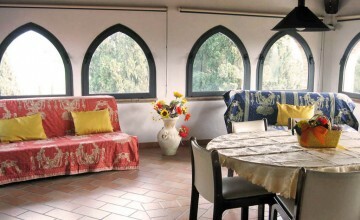 The room in the tower offers fantastic views of the lake and the surrounding countryside. 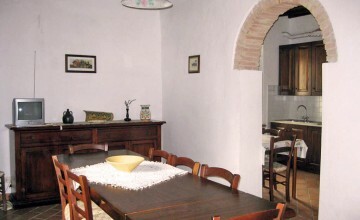 Apartment 3 – 100 sq.m. 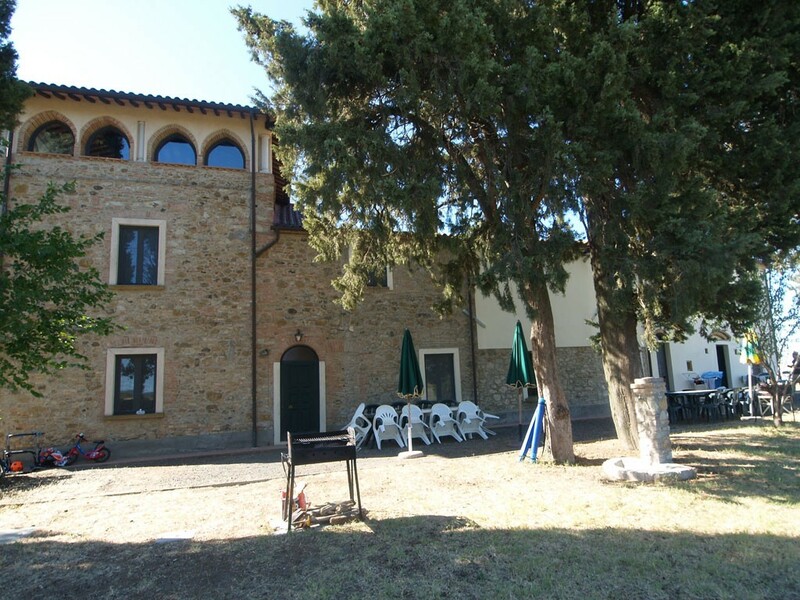 (1,076 ft2) entrance hall on the ground floor with staircase to the first floor featuring sitting room with fire place, eat.in-kitchen, single bedroom, double bedroom and bathroom. 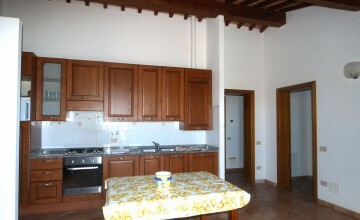 Apartment 4 – 105 sq.m. 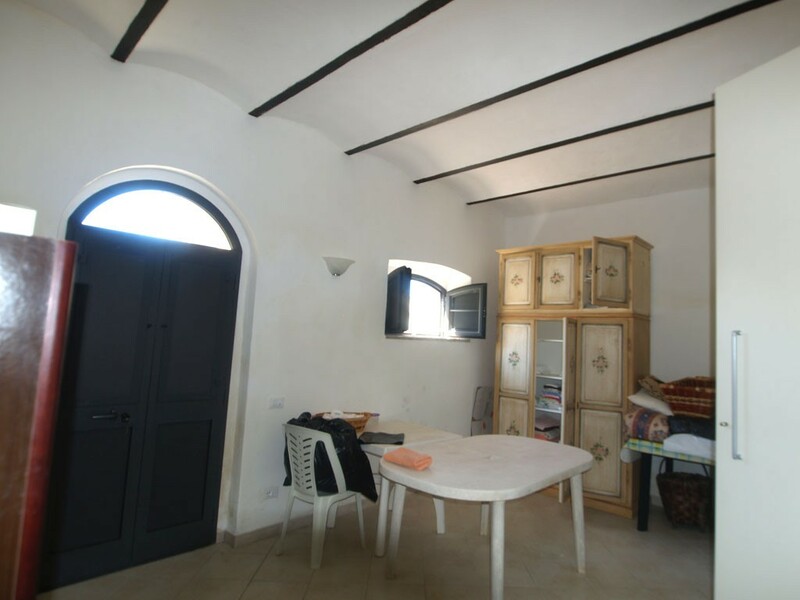 (1,130 ft2) on two levels divided into a sitting room, eat-in-kitchen, bathroom on the ground floor and two double bedrooms and WC on the first floor. 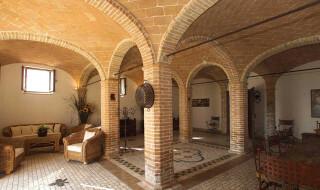 All apartments are in typical Tuscan style with beamed ceilings. 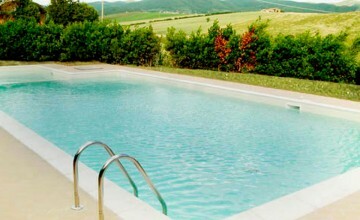 They are in perfect conditions and fully furnished. 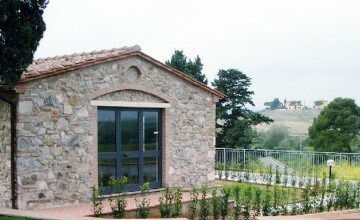 The newly built stone house measures 262 sq.m. 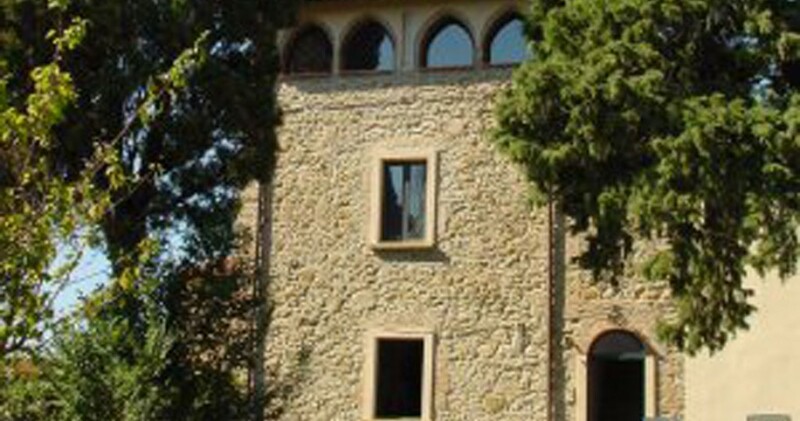 (2,820 ft2) on one level. 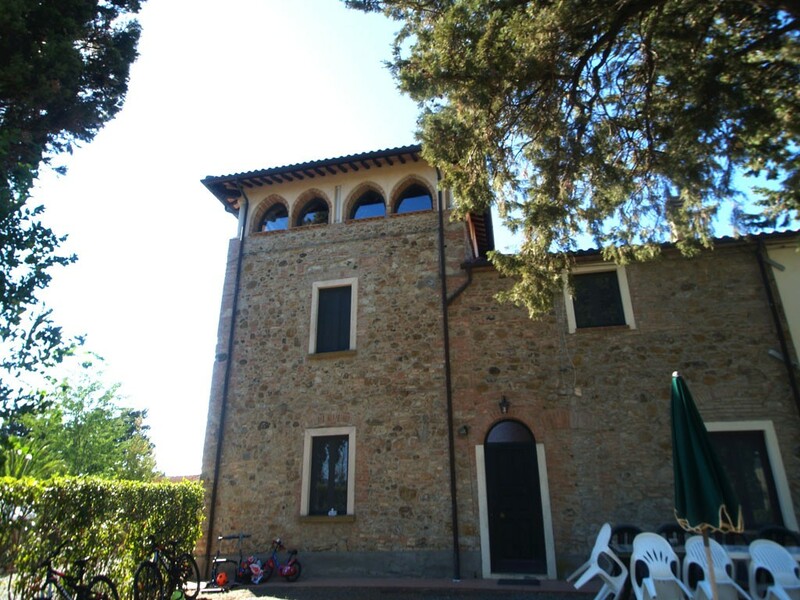 Also this building is divided into four smaller apartments. 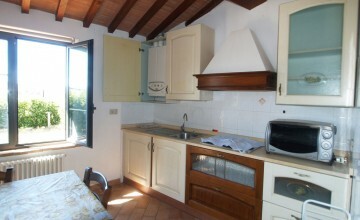 Apartment 5 – 56 sq.m. 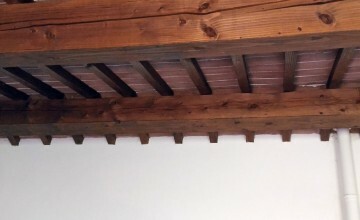 (602 ft2). 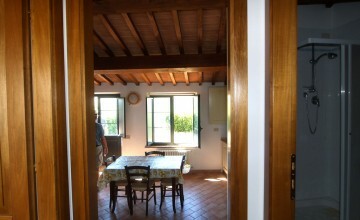 Sitting room with kitchenette, double bedroom and bathroom. 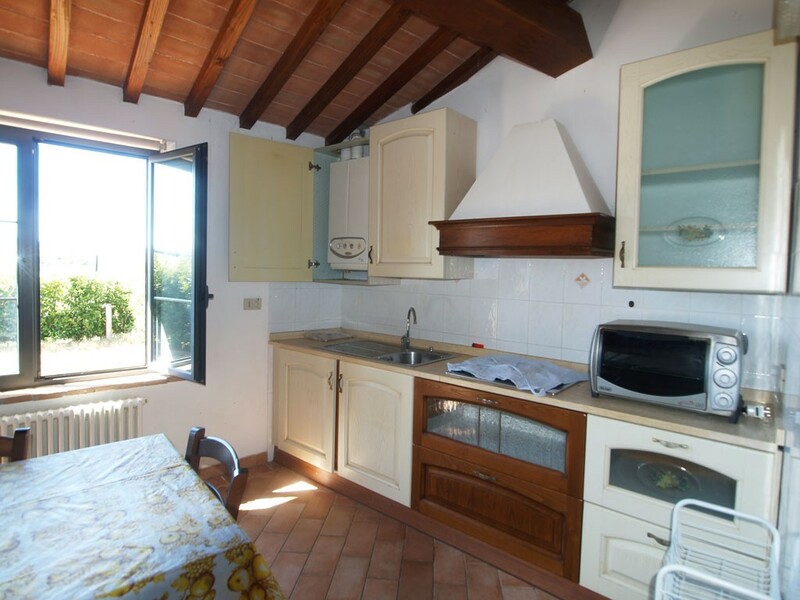 Apartment 6 – 54 sq.m. 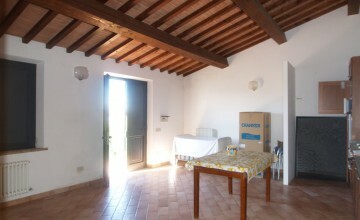 (581 ft2) Loggia, sitting room with kitchenette, double bedroom and bathroom. 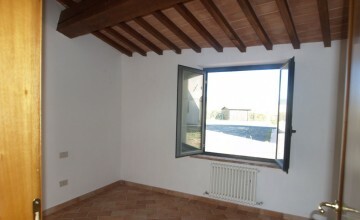 Apartment 7 – 62 sq.m. 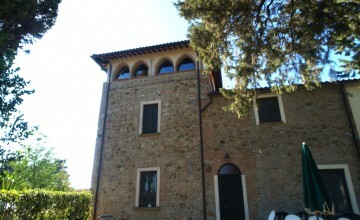 (667 ft2) Sitting room with kitchenette, double bedroom, single bedroom and bathroom. 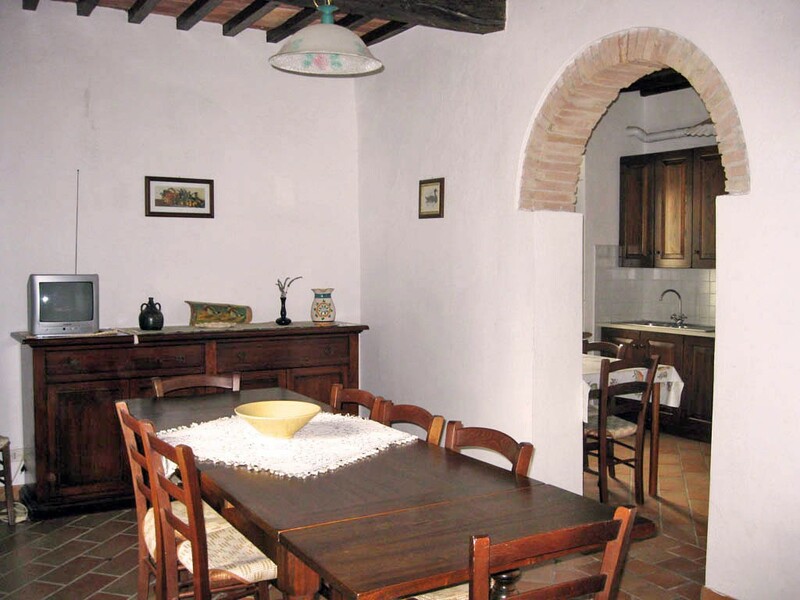 Apartment 8 – 90 sq.m. 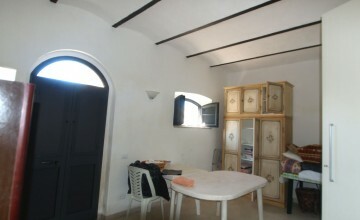 (968 ft2) Terrace, sitting room with kitchenette, two single bedrooms, one double bedroom, two bathrooms. 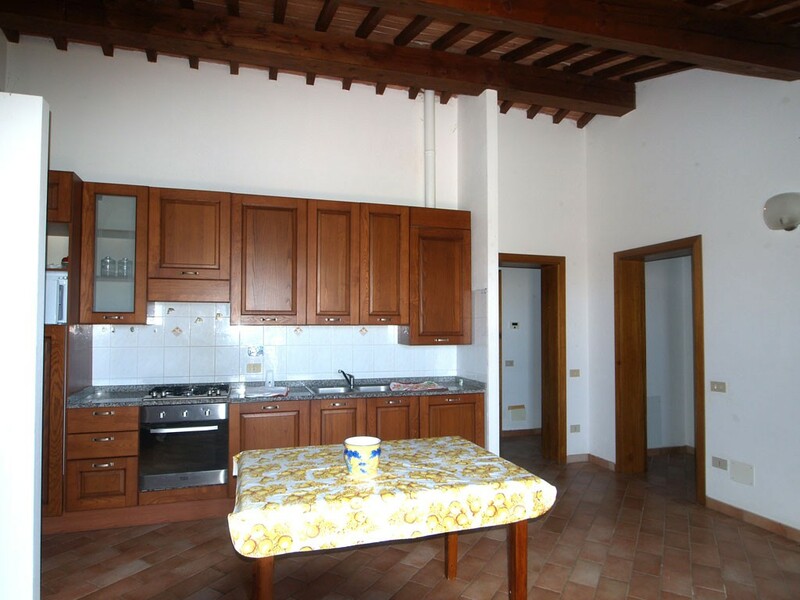 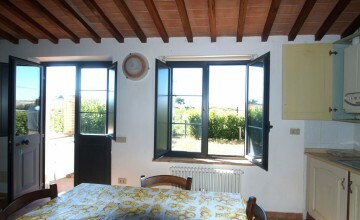 Also these apartments are in pure Tuscan style with beamed ceilings. 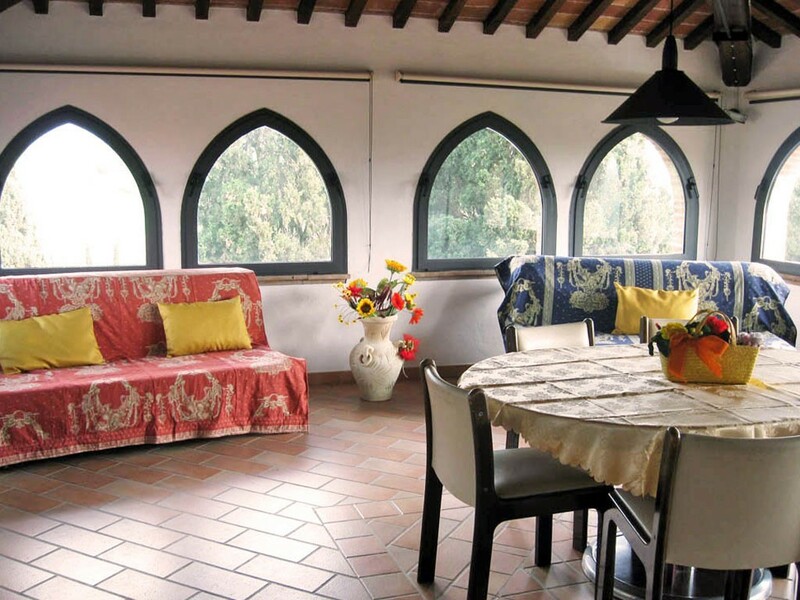 They are all fully furnished. 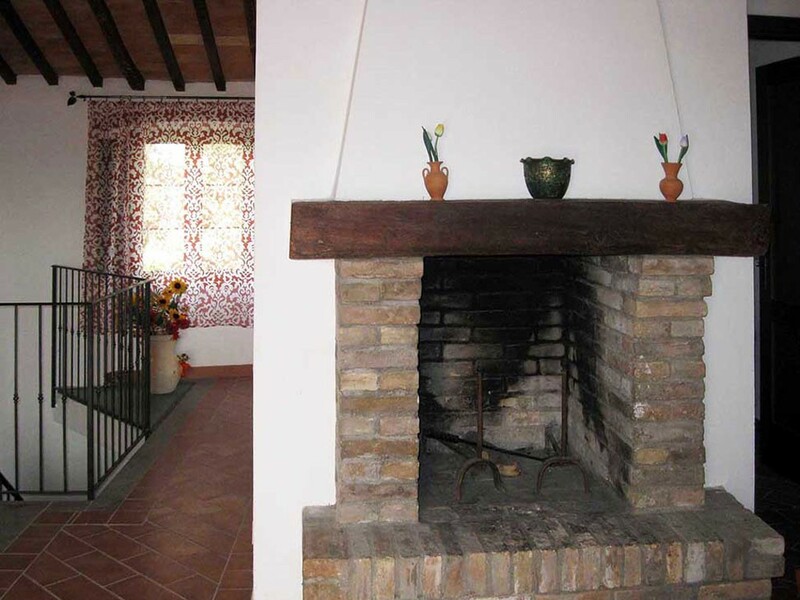 The apartments also have gas heating and each apartment has its own private garden. 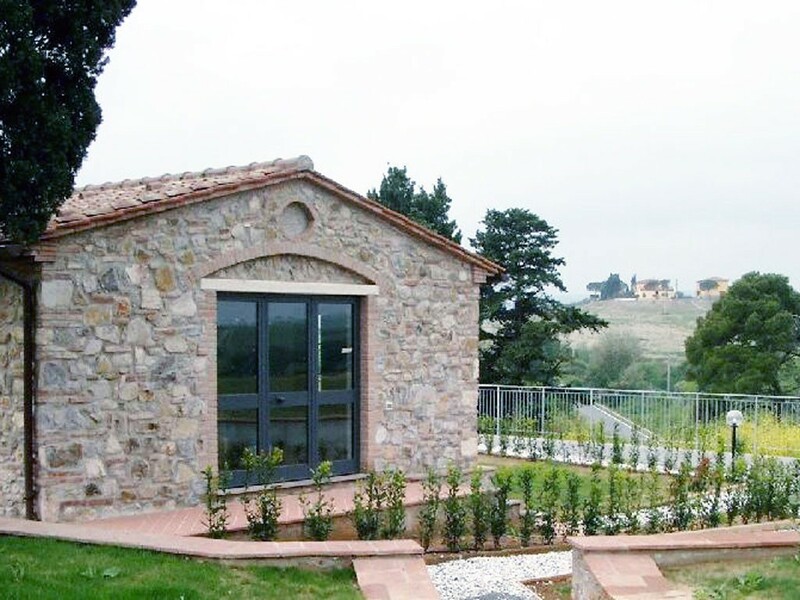 The plot of land fully fence with automatic entrance gates measures almost 3000 sq.m. 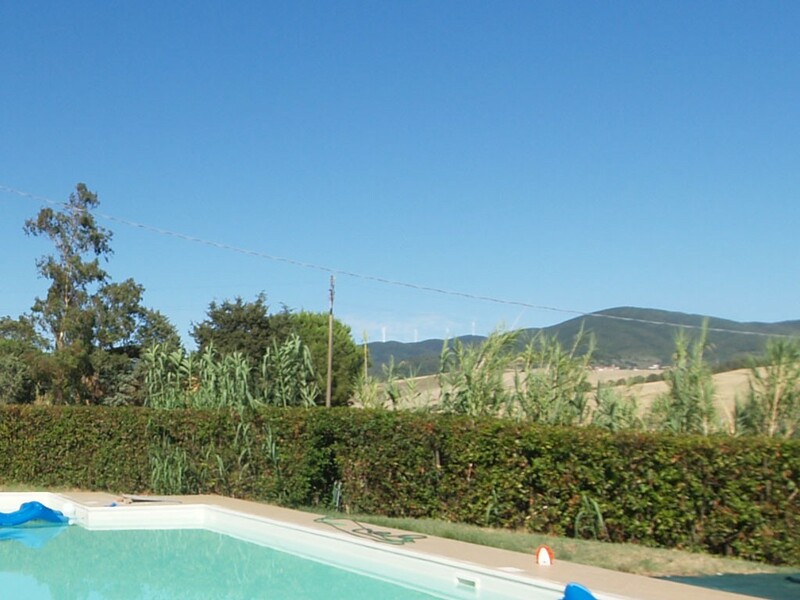 (32,291 ft2) There are plenty of parking spaces, large swimming pool for adults 12x6 mt. 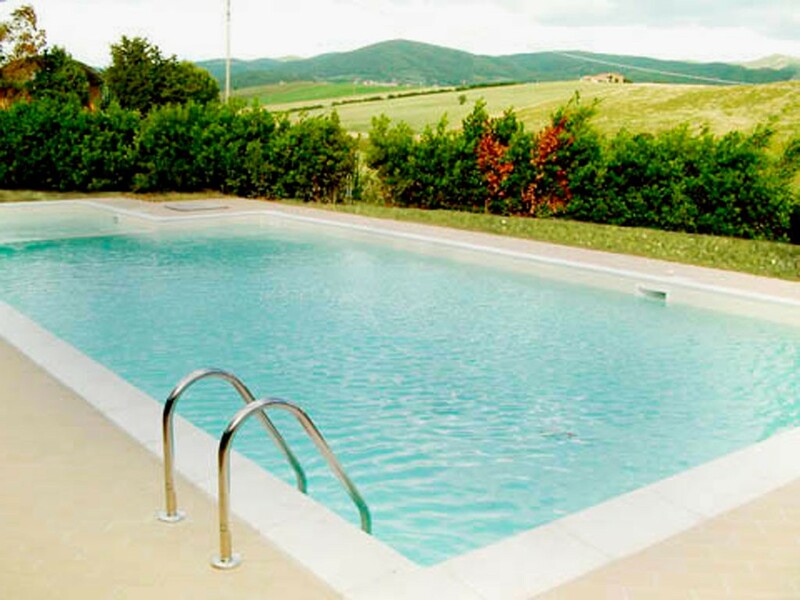 (39x19 ft.) and one for children 4x4 mt. 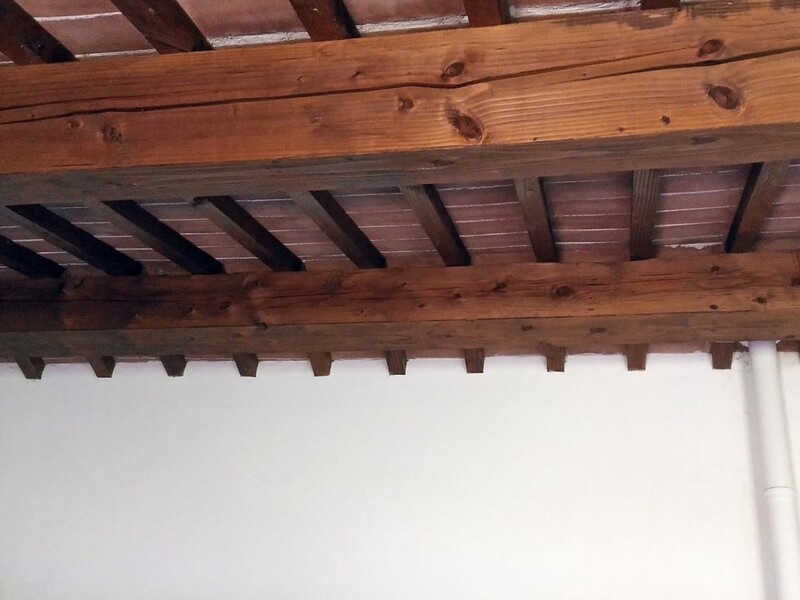 (13x13 ft.). 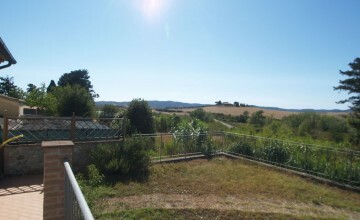 The selling price includes also 1 hectare (2.47 acres) of arable land located very close by.